In 1994, Gucci Group NV was incorporated. The same year, Tom Ford, previously Chief Women's Ready-to-Wear Designer, was appointed as Creative Director of Gucci's entire product range. His seminal fall/winter 1995-1996 collection transformed Gucci's style with a remix of classic and modern, tradition and innovation. It was an immediate hit with the critics and the public and marked the relaunch of the Gucci brand. In 1995, Domenico De Sole was appointed as President and CEO of Gucci Group NV after holding the position of President of Gucci America Inc. (1984-1994) and Chief Operating Officer of the Gucci Group (1994-1995). The De Sole-Ford team would reinvent Gucci over the following years. In October of 1995, Investcorp floated 48.2% of Gucci Group NV on the New York and Amsterdam Stock Exchanges. The Initial Public Offering was positively received by the market, leading Investcorp to offer the remaining 51.8% of the company five months later. Gucci's shares were in international demand. 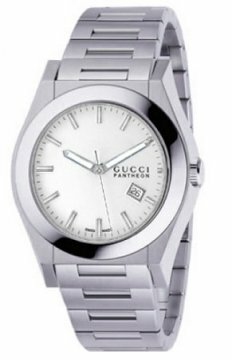 Gucci Timepieces was created in November 1997 when Gucci Group NV acquired the operating assets of the Severin Montres Group, one of the world's largest manufacturers and distributors of watches. 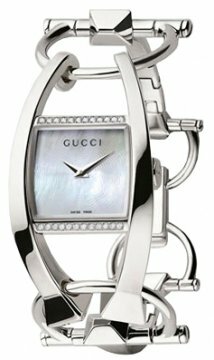 Severin Montres, a Gucci licensee for 23 years, had developed an extensive directly operated distribution network in the United States, Canada, Hong Kong, the UK and Germany, as well as third party arrangements elsewhere. In 1999 Gucci Group NV acquired Yves Saint Laurent Couture and Sanofi Beautè, a prestigious perfume and cosmetics company that boasts YSL fragrances such as Opium and Paris, as well as a wealth of other perfume licenses including Roger & Gallet, Krizia, Fendi and Oscar de la Renta. In 1999, Gucci Group NV also acquired a 70% controlling interest in Sergio Rossi, a leading Italian luxury shoe company. The growth of Gucci Group NV continued in 2000 with the acquisition of Boucheron International S.A. Founded in France in 1858, Boucheron has a long established heritage as one of the world's most exclusive jewellery, watch and perfume brands. Also in 2000, Gucci secured further control over its brands by obtaining license rights held by Cartier International for Yves Saint Laurent Couture watches and jewellery. 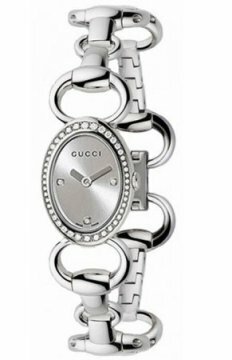 Both moves reflect Gucci's confidence in the global potential of the jewellery and watches segments of the luxury goods market.